In what seemed like an instant, rookie wide receiver Courtland Sutton went from the Broncos’ No. 3 wide receiver to the top spot following the trade of Demaryius Thomas and the season-ending Achilles’ tendon injury to Emmanuel Sanders. 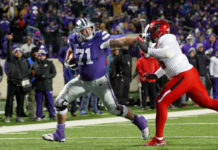 On Wednesday, Sutton joined Eric Goodman and Les Shapiro of Mile High Sports AM 1340 | FM 104.7 to talk about his whirlwind season, and what challenges await him as the Broncos’ top target. A decade ago, top cover corners “travelled”; following their assigned man to either side of the field and shadowing their every move. Nowadays, even Pro Bowlers like the 49ers’ Richard Sherman stay on one side of the field, simply covering whichever receiver lines up on that side. The numbers back him up. 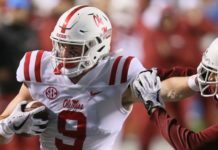 Sutton’s 572 receiving yards are second-best on the team, but his whopping 19.1 yards per catch leads it… by nearly seven yards per catch. 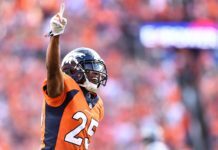 When asked about why the Broncos haven’t taken advantage of Sutton’s deep skills — quarterback Case Keenum’s miniscule 6.9 yards-per-attempt average ranks 26th in the NFL — the rookie wisely demurred. 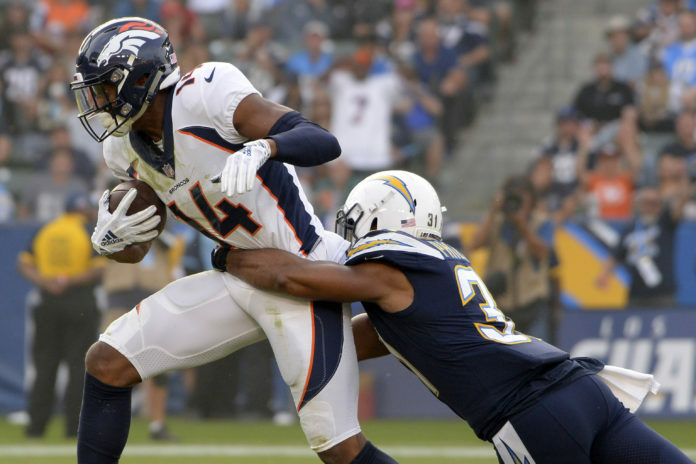 Click here to listen to the full interview with Courtland Sutton, including more of what he had to say about offensive coordinator Bill Musgrave, quarterback Case Keenum, Sherman’s “edge” and his potential matchup with fellow rookie Denzel Ward of the Browns and more, or listen to the podcast below.